36 stems of high quality wholesale Hydrangea. •Average stem length is 18-24"
•Flower you receive may vary slightly from pictures above. Flowers are a product of mother nature and it is not an exact science. We do guarantee that you will receive the most beautiful and magnificent hydraangea available on the market. 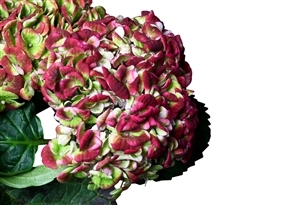 Your Hydrangea will be shipped dry and not in water. Experts prepare your flowers for their journey beforehand with plenty of nutrients and water. You're flowers may look dehydrated and droopy/tired. Do not get frustrated. This is completely normal. Simply follow the step below and your flowers will bloom absolutely beautifully in no time at all.